The King has approved the appointment, to take effect in May, of Vice-Admiral M. M. Denny to be a Lord Commissioner of the Admiralty, Third Sea Lord and Controller of the Navy. Vice-Admiral Denny, who attended Wimborne Grammar School from 1906 to 1909, was Assistant Director of Naval Ordnance before the War. 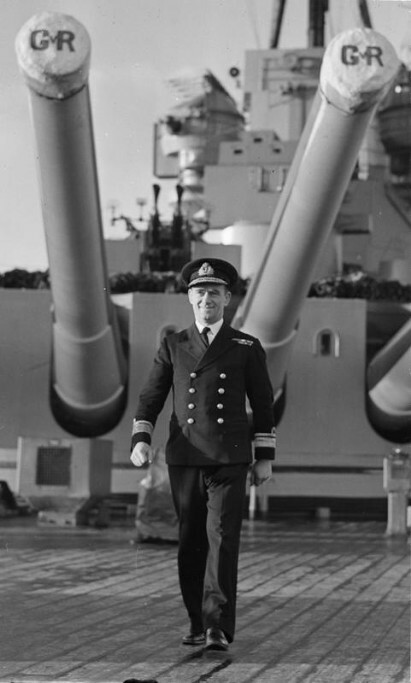 During the war, after commanding a cruiser, he became Chief of Staff in the Home Fleet, and later he commanded HMS Victorious in the Pacific Fleet. During that time his ship was attacked and hit by two kamikaze aircraft, which temporarily put it out of action. Since the war he has commanded the destroyer flotillas of the Mediterranean Fleet and has had further Admiralty experience as Director of Personnel Services. Among the decorations and Honours he received were the GCB, KCB, CB (knighthood) for actions at Andalsnes and Dunkirk, DSO for operation Iceberg, MID for the attack on the Tirpitz.